There are two kinds of proportionality (some call these problems “variation” problems, but I’m sticking with proportionality) problems that you might see on the SAT: direct and inverse. I’m going to cover both here since I’m in the business of preparing you for any eventuality, but you should know that the the former is much more prevalent than the latter. Don’t sweat inverse proportions all that much. Note that k is still in there, but we don’t have to deal with it directly anymore. I like to streamline. For easy direct proportion questions, all you’ll need to do is plug values into the proportion above, and solve. And the “hard” direct proportion questions won’t actually be much harder. If y is directly proportional to x2, and y = 8 when x = 4, what is y when x = 5? No big deal, right? You should get y2 = 12.5, which is answer choice (C). Again, note that k hasn’t disappeared; k is equal to both sides of the equation. I’ve just given you one less value to keep track of and have a name for. If u and w are inversely proportional, and u = 11 when w = 5, what is u when w = 110? Solve, and you’ll find that u2 (uns…dos…tres…CATORCE!) is 0.5, so choice (E) is correct. Note that choice (A) is there in case you misread the question and set up a direct proportion instead. Note also that in the first example above, choice (A) would have been the solution to an inverse proportion. I’m not doing that to be a jerk. 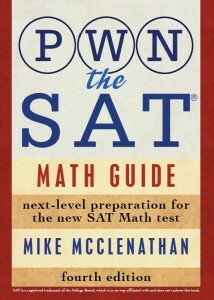 I’m doing that because the SAT will. Read the question carefully. * Of course, these statements assume a positive k. If k is negative (in the realm of possibility I suppose, but I’ve never seen it on the SAT) you’d have to revise them to be about absolute values. For 19, how exactly do you solve it? I get the basic idea, but, that’s still a hard one where I keep getting 2 (letter C). Well, it’s an inverse proportion, so your setup is: ab = ab. A number y is inversely proportional to x2, and y is 1 when x is 2. The number of x is also directly proportional to t, and x is 3 when t is 1. What is y when t is 1/3? We just found that x = 1 when t = 1/3, so we can use that to solve for y, knowing that the product of y and x^2 will always be equal to 4.
how can we identify if its inverse proportion or direct proportion? The question will tell you. If it just says “proportional” you can assume direct proportionality. It won’t be inversely proportional unless it says so explicitly. can u give me 3 example of indirect proportion?? Sorry, I didn’t see this message before. Do you mean you want me to write 3 questions? Or that you want real life examples? One real life example: for a constant distance, speed and time are inversely proportional. So for example, If I live 20 miles from work, It takes me 1 hour to get there if I travel at 20 mph, but if i go faster (say 40 mph) it takes me less time. I don’t quite get 17 😮 can you please elaborate? In a direct proportion relationship, x and f(x) will always form the same ratio. That’s why (B) is correct–because 3/6 = 5/10 = 15/30. If p is directly proportional to q and r, then p is directly proportional to q*r? Since jk is just going to be another constant since both of its parts are constants, you can say that p^2 is directly proportional to qr.